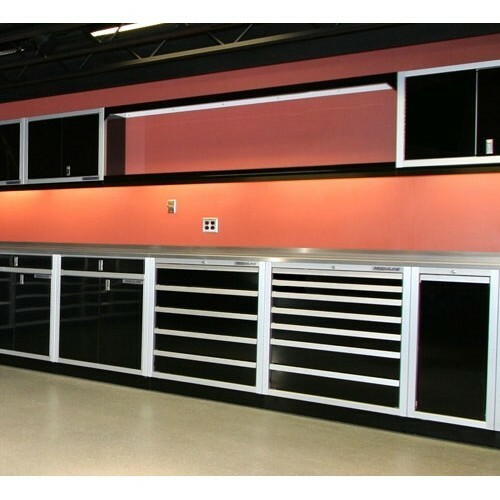 Get even more organized in your garage or shop with specialty cabinets from Moduline! 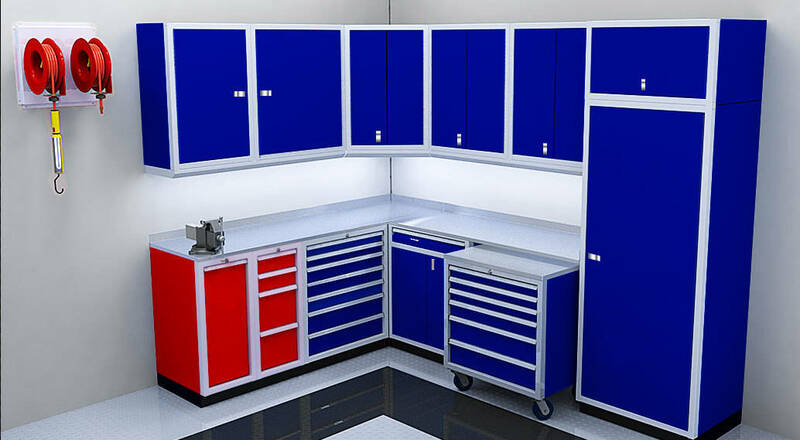 Do you need to make improvements to your existing cabinet system? 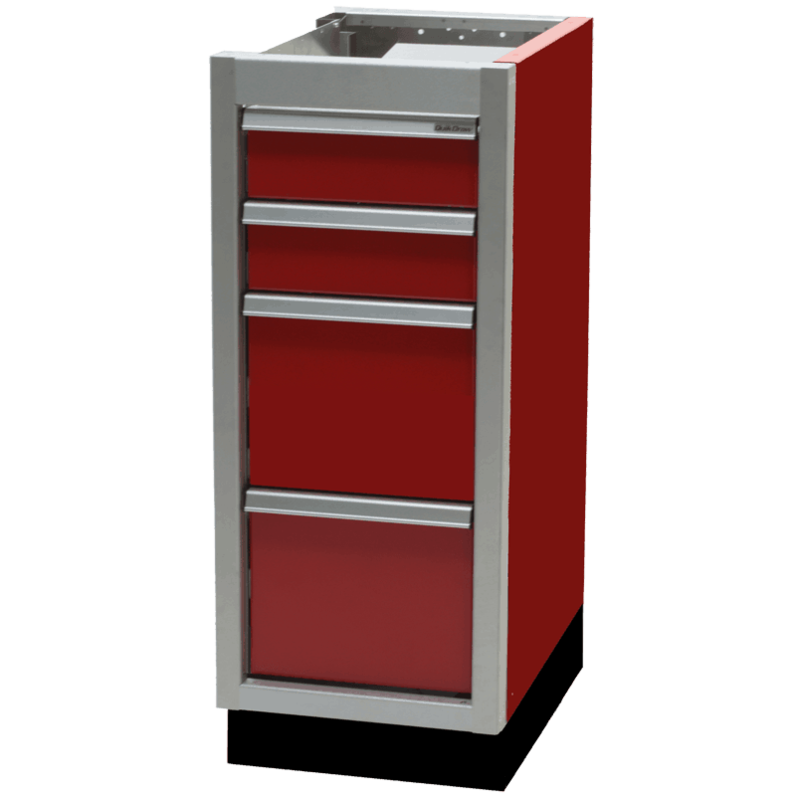 Check out our Parts Bin Cabinet or our pull-out Recycle/Waste Bin Cabinet. Maybe you need a File Cabinet? 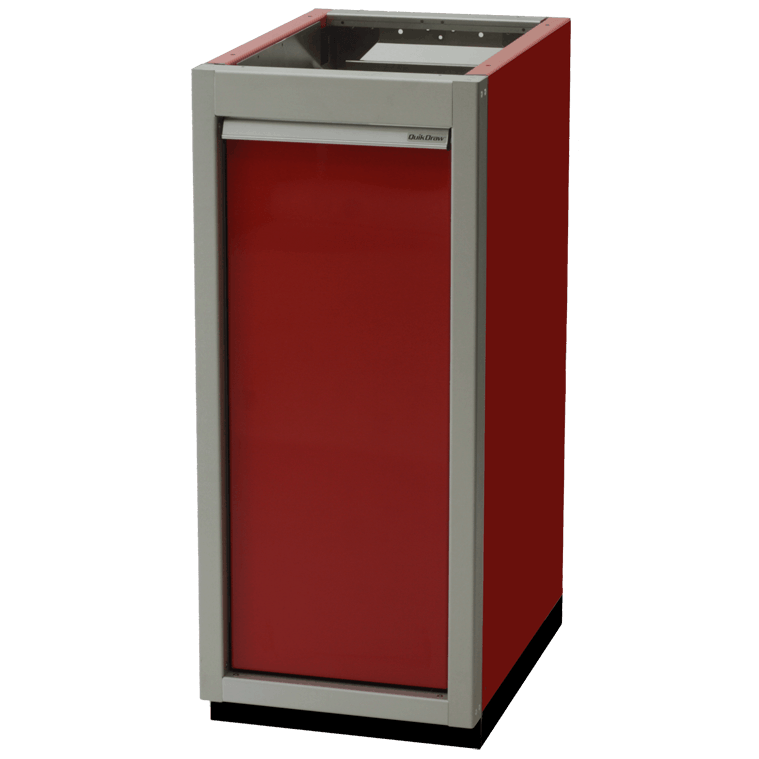 The modular design makes creativity endless for any layout new or existing. 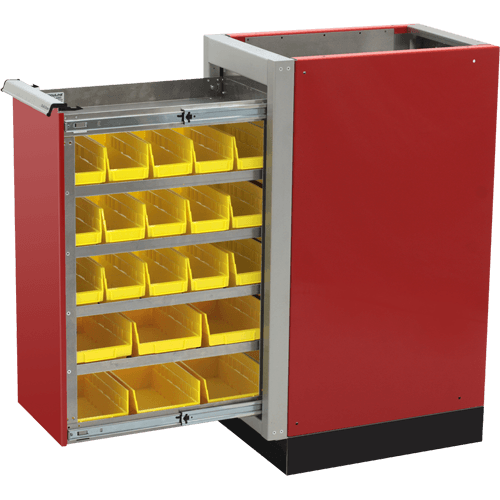 Moduline has a variety of ProII™ SERIES Specialty Cabinets all featuring our patented QuikDraw® Single Action Latch System. 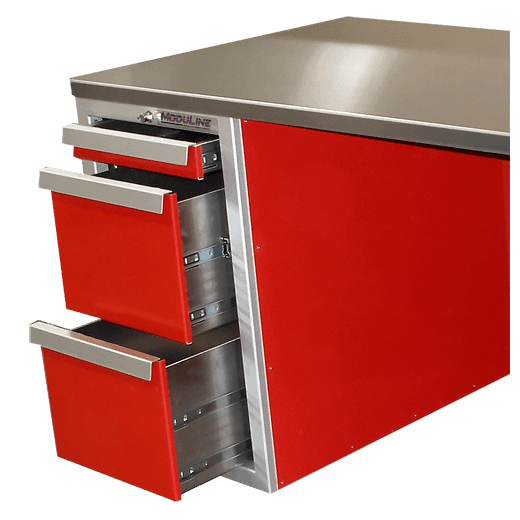 All Moduline Cabinets are made with high alloy aluminum, are proudly made in the USA and carry our Lifetime Warranty so you will never need to replace cabinets again. 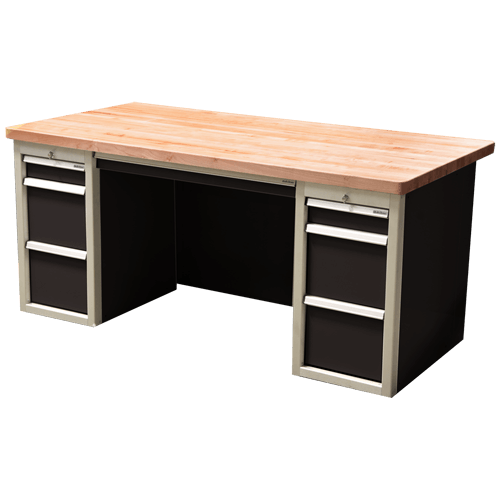 If you don’t see exactly what you want, just call 888-343-4463 and talk with a cabinet specialist to help you choose the best layout to fit your particular storage needs.